The Star Fox series is a game changer, quite literally. Its development teams have pushed the limits of video games, innovating 3D spaces and polygonal graphics, even designing new hardware when current technology wasn’t enough. 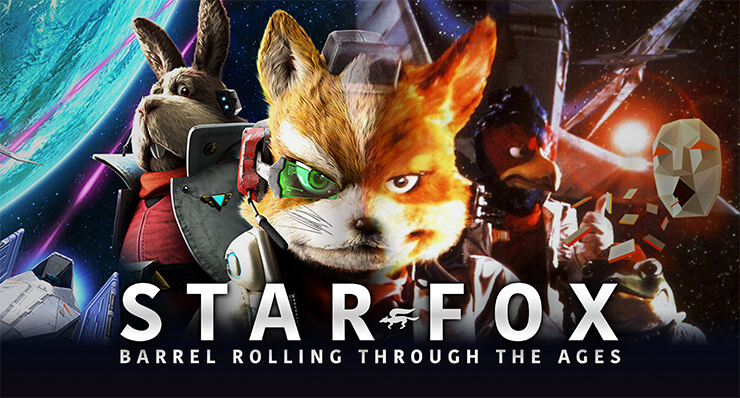 So as Star Fox Zero approaches, it’s time to do a barrel roll through the franchise history. We’ll cover the main titles, but we’ll also look at little-known releases (like Star Fox Super Weekend and Star Fox Game Watch), cancelled titles (Star Fox 2 and Star Fox Virtual Boy), their video gaming roots (Starglider and X), and even the games they’ve influenced (Pokémon Stadium 2 and Wario Ware). Let’s go! Which Star Fox release is your favorite? How about the related titles? And what about those cancelled games, do you wish you could play them or do you think cancellation turned out for the best? (They did always lead to bigger and better games, after all!) Let us know in the comments below! And while you’re waiting for that Star Fox Zero pre-order to arrive, take a look through the hundreds of Nintendo gifts we have in stock now!